A central air conditioning system is a welcomed appliance to own on hot summer days. They run efficiently and can cool off one, some or every room in your home. Most central air conditioning systems utilize a combination of gas and electricity to fuel and power the system. They also use forced air ventilation to force cool air through duct channels and vent the cool air into the rooms of your home. Whether electric or gas, central air conditioning is one component of a home's overall HVAC (Heating Venting Air Conditioning) system, and functions interchangeably with the heating system. Central HVAC systems distribute cool air to rooms through ducts. Homes with all-electric air conditioning utilize electricity for both heating and cooling. An all-electric system utilizes an electric furnace and outdoor condenser. However, most homes utilize a "split" system. The furnace is fueled by gas or oil. The outdoor condenser (which most people refer to as the air conditioning unit) is operated by electricity. The term split does not refer to the combination of gas or oil with electricity. It actually refers to how the system works. In a split system, warm air is extracted from the indoors in summer and transferred outdoors. In the wintertime, the opposite takes place to warm the air instead of cooling it. Gas air conditioning units are not "all gas." 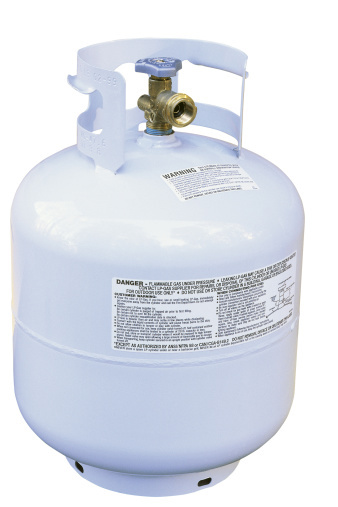 The idea of an all-gas system is a misnomer. This is because gas-driven central HVAC systems still rely on some degree of electricity to operate. The furnace is the only unit in the central air conditioning system that is fueled by gas. The condenser is powered by electricity. Both are required to operate the system, and in most homes, the air conditioning runs in a split system. Gas and electric central air conditioning systems all require the same equipment: a forced air delivery vehicle (usually a duct system), a furnace and an outdoor condenser unit. Both systems are interdependent on the furnace unit, which is fueled by gas, and the condenser, which is powered by electricity. Both also require a working thermostat mechanism to signal the system to distribute cool air according to the temperature that you set. The other major similarity is cost. 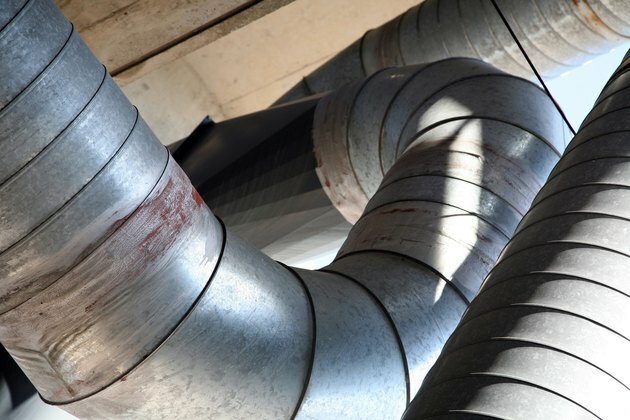 In just about every home in the United States, energy costs for the central HVAC system take the biggest bite out of monthly budgets. The California Energy Commission reports that 44 percent of the money Californians spend on utilities is for heating and cooling. The big difference is that an electric central air conditioning system is the only type that can run on one type of energy: electricity. The other major difference is cost. As a rule, electricity is less expensive than gas. If you have a central air split system that operates with a gas or oil furnace, you will undoubtedly expect fluctuations in your energy bills. Both gas and oil prices vary from month to month and year to year. During summer months, your gas bill will normally drop and your electricity bill will increase. When winter rolls around, the reverse takes place. Some users opt for billing programs that allow them to pay an average amount each month to manage their budget. Others evaluate whether it is better to purchase energy units at a fixed or flat rate. Adding a heat pump to dissipate hot and cold air from the outdoors is another option to explore to make your central air conditioning system even more efficient -- and less costly.